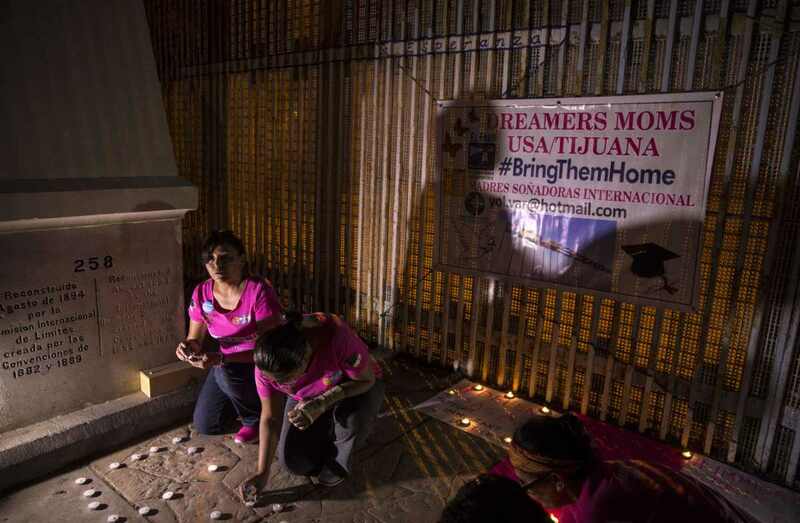 Activists pray at the wall between Mexico and the United States in Baja California, Mexico, during a protest against the possibility of deportation of those included in the DACA program on September 4th, 2017. The shoes of French president&apos;s wife Brigitte Macron (left) are pictured next to the Greek guard&apos;s shoes during a welcoming ceremony at the presidential palace in Athens, on September 7th, 2017, as part of a two-day official visit of the French president to Greece. 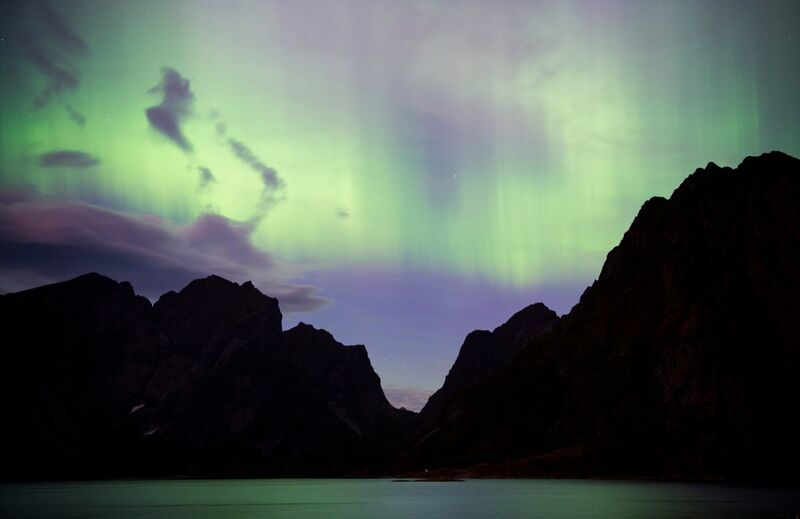 Northern lights (aurora borealis) illuminate the sky over Reinfjorden in Reine, on Lofoten Islands, Arctic Circle, on September 8th, 2017.